Equal parts bad news politicians and even badder parenting, Swing Vote has the strange feel of a get-out-the-vote movie that is more likely to drive away constituencies from the polls in droves. While its weight-of-the-world star Kevin Costner as a yokel borderline caricature, nevertheless does a pretty darn good job of exposing the phony platitudes and pandering of political candidates, the film’s final about-face appears to embrace redeeming qualities of the electoral system that are never presented as actually there. It seems that the country is in the grips of tossup presidential election, with New Mexico holding the key to a decisive resolution with its five electoral votes at stake. While the nation breathlessly awaits the final tabulations, the election comes to rest on a single vote inconclusively cast in the dusty town of Texico, because a cleaning lady inadvertently pulled the plug on the electrical current in the voting booth near closing time. Not that the ballot itself was legit. Precocious 12 year old Molly (Madeline Carroll) was moved by a sense of civic duty to surreptitiously register and cast the ballot of her drunken, unemployed dad Bud (Kevin Costner) when nobody was looking, and bolted when the lights went out, leaving the incomplete ballot behind. And when the media gets wind of a single vote that will decide the election, they surround slovenly Bud’s seedy shack in a feeding frenzy, with the two candidates not far behind. With Bud being offered ten days to make up his mind, and a decided preference for being handed a beer rather than a ballot, the candidates make their moves on him, hanging on his every word and altering their political positions accordingly. Writer and director Joshua Michael Stern may have unwittingly made a better case for everything that’s wrong about US politics, and why not just one disgruntled guy but more than half the nation avoids election day like the plague. 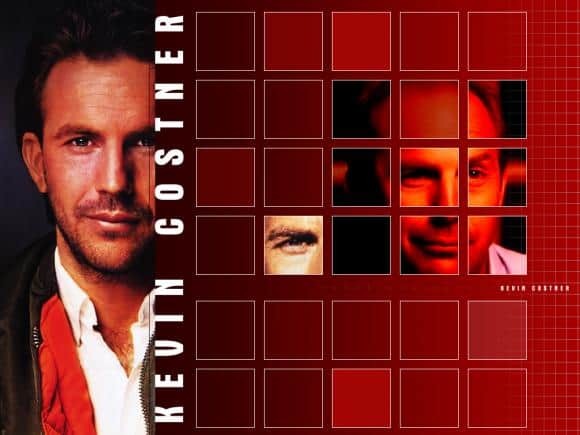 So his eleventh hour bid in the final act of Swing Vote to inspire folks to care, and despite Costner’s quirky eloquence on the subject, comes off more half-hearted than anything else. And not unlike Molly’s own predicament, that she has to be devoted to her derelict dad, mainly because that’s all she’s got to lean on.